Sunderland analysis: Does Sam Allardyce have to take the blame for Jan Kirchhoff debut? It shouldn't have come as a surprise that Jan Kirchhoff was suffering from a severe case of rust on his Premier League debut. The German had played just a minute of competitive football this season for Bayern Munich - and only managed 12 Bundesliga starts during an injury-hit loan spell at Schalke last time around. Against a star-studded Spurs attack at White Hart Lane, it was asking a lot of Kirchhoff to make an instant impression in a red and white shirt too. But there's failing to shine and then there's just enduring one of those infamous rotten debuts. Unfortunately, Kirchhoff endured one of the worst Sunderland baptisms in recent memory. A lazy back turn towards Christian Eriksen gave Spurs a third goal, a clumsy needless tackle saw Harry Kane convert a penalty for the fourth and a general lack of energy or conviction throughout his half-hour outing from the bench. Does Sam Allardyce have to take a big chunk of blame for turning to Kirchhoff though, as he looked to introduce fresh legs to proceedings? Understandably, Allardyce was looking for some fresh energy after a gruelling week, with fatigue noticeably setting in during the last half-hour. 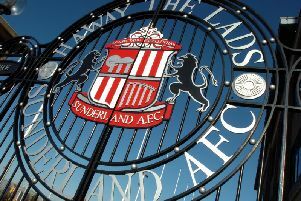 But Sunderland were relatively comfortable at 1-1 as the clock ticked towards the hour mark. Bringing on Kirchhoff and switching to five at the back just didn't work. In fact, it back-fired spectacularly. Once Spurs went ahead through Mousa Dembele's strike - after there was scant pressure on the Belgian - it was oh-so-easy for the hosts who eventually reached the finish line at a canter. Up until the tactical and personnel changes though, Sunderland had done well - solid, well-organised and profiting from their first meaningful opportunity, as the impressive Patrick van Aanholt found the net for the third Premier League game on the spin. With Jordan Pickford enjoying a Premier League debut which was a complete contrast to Kirchhoff, Sunderland looked like they could get something, even if their lead lasted less than two minutes after Lee Cattermole got his goal-line clearance all wrong. But Allardyce's changes really did change the complexion of the encounter, and not for the better.